Geography defines countries and shapes societies. Just as the United States has a remarkably diverse population, so too does it have a strikingly diverse geography. 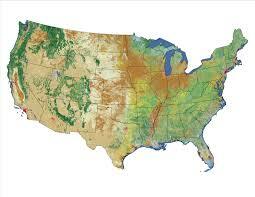 Take this quiz to test your knowledge of U.S. geography, with a focus on size and elevation. Note: Special thanks to Learning Life intern, Kane Boynton, for drafting the questions and answers, and to content writer, Craig Gusmann, for helping with editing. 1. What is the tallest mountain in the United States and where is it located? 2. What is the largest state in the continental United States by surface area? 3. What is the largest lake that is entirely in the United States? 4. What is the smallest state in the United States by area? 5. What is the lowest point in the United States?